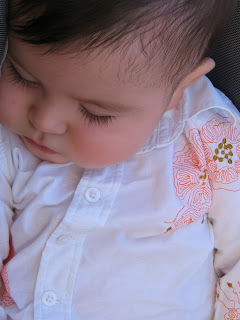 Napping in the fancy shirt. Oh my gosh. So squeeably cute! I don't know if he's napping or just resting his lids under the weight of those eyelashes.